Louwrens Voorthuizen was born in 1998, in Anna Paulowna. He was a fisherman and at the age of 29 he had a religious experience. 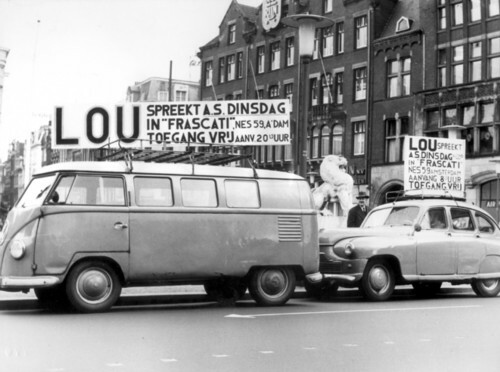 He moved to Amsterdam and became known as Lou de Palingboer. He was the head of a sect-like group until he dead at the age of 60. Very important in the organisation was Mientje, his love, who kept the group of followers together untill she died only a few years ago in Spain. I think that the religious experience that Lou had was real. But the insights that he drew from this experience sound like total nonsense. Lou seemed not to have been clearminded enough to understand what had happened to him. Of course i don’t know for sure, i have never met him. But he is not alone: there are many more people who had similar experiences and who got similar weird ideas from them. Lou was a phenomenon in his days. I remember that he was still in the news when i was a kid, even though i was born around the time he died. 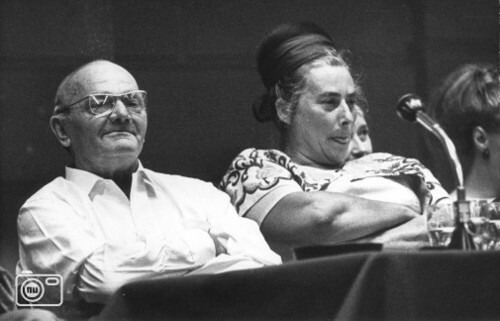 I have never seen a book about Lou de Palingboer; if it exists, i would love to read it. I do have an LP with him taking and Mientje singing. The record is from the fifties and on the label is a stamp saying “Not for sale”. I think it is a rare document. Not that i would ever do it away: this is the kind of records that are the most dear to me. Here is side A. 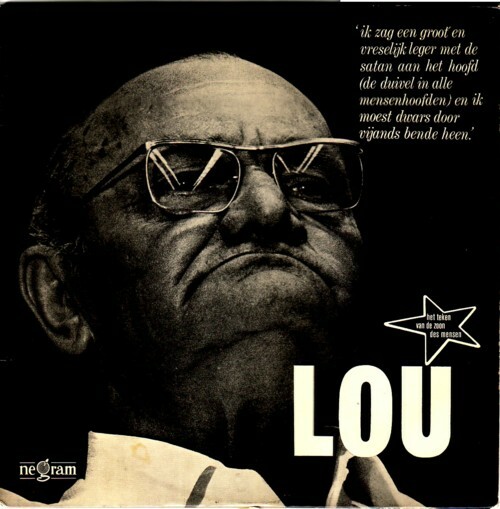 The first part is Lou talking about his mystical experience, and then Mientje sings a psalm-like song about Lou and herself.